Cover more ground and spread your message far and wide with the New Mexico Flyer in glowing reds and oranges under a turquoise sky. 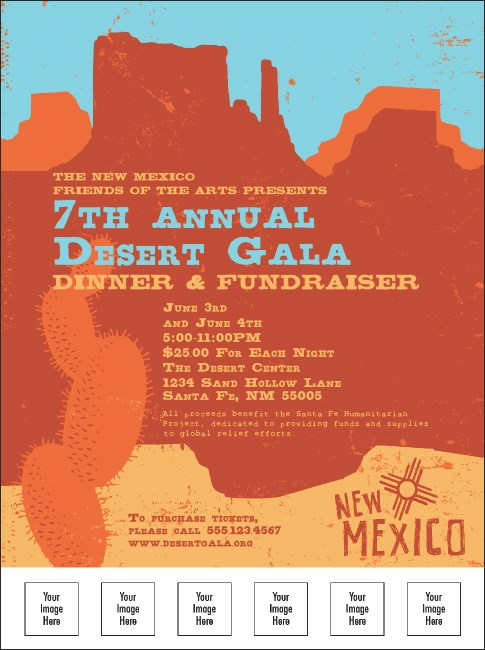 Broadcast event details with this gorgeous desert design. You can even upload six of your own custom images, logos, or head shots right to the ticket template. Finding the right publicity? TicketPrinting.com is a breath of fresh air!